CLEAN! Nicely furnished, comfy beds! Kawama Tower ~ Two bedroom, two bath exudes peace and harmony! Turquoise Ocean views! Renovated to perfection! 3-nt minimum Premium dates are a 7-nt minimum ~ Third floor, 2 bed, 2 bath, King bed in master, Queen in guest bedroom. Enjoy the comfort and convenience of your private residence and be within minutes of world-class fishing, snorkeling and diving! This soothingly decorated, two bedroom, two bath condo boasts 1300 square feet of living space, upgraded kitchen and baths, private laundry facilities, an open-air balcony and thoughtful floor plan. 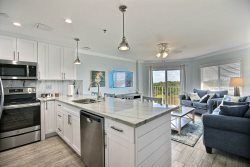 Community amenities include two tennis courts, two heated swimming pools, a saltwater lagoon surrounded by relaxing walking-paths and 24-hour manned security. Answered all my questions easily and fast. It was very nice. The beach area needs work, so thats why its an 8. Beautiful condo and resort. Comes with everything needed for a very enjoyable stay. Lots of things to do without even leaving the property and great restaurants nearby, some within walking distance of Kawama. Amazing location really cute and clean. Great location! Our host was great with communication. The place is even more beautiful than the pictures depicted. I would highly recommend this house and company/host to anyone. Enjoy the comfort and convenience of a private residence and be within minutes of world-class fishing, snorkeling and diving!